If it’s adventure you seek then you’ll have met your match with KTM. 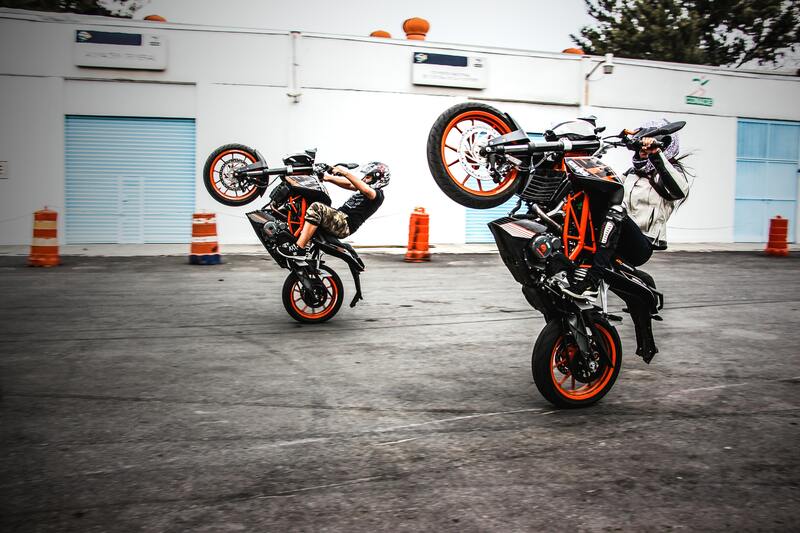 When you’re riding your KTM bike, the world will melt away as you enjoy a ride filled with pure power and speed. Whether you’re racing professionally or riding for fun with friends, KTM makes sure that you do it with a bike that promises the ride of a lifetime. Enjoy the benefits of a highly powerful bike at an affordable price. KTM street bikes and dirt bikes are surprisingly lightweight and promote smooth, precise handling while hitting high speeds and taking those tight curves with ease. You can trust that you’re reducing your carbon footprint when you invest in KTM, too. These bikes burn less fuel and give off fewer emissions. You’ll not only enjoy a flawless ride but can feel better knowing your ride is environmentally friendly.